On August 15, 2015, one of the most massive federal land-use regulations went into effect. A violation of the new regulation, known as Waters of the United States (WOTUS), without a required permit subjects the perpetrator to fines up to $37,500 per day and possible imprisonment. One of the biggest problems with the new act is determining what land is jurisdictional. Basically, this includes any land that is defined as jurisdictional by the act or that can be declared jurisdictional by the agencies under the significant nexus test. Category 8, discussed later, encompasses as jurisdictional all land 4,000 feet on either side an ordinary ditch and possibly all the adjoining land in the watershed. Urban areas are as susceptible as rural areas. Securing a permit from the agencies is no quick or inexpensive process. Currently, permits are estimated to take one to three years at a cost of $200,000 to $250,000. This does not include mitigation expenses. The dilemma facing landowners, homeowners, and developers is whether to expend time and money needed to secure the permit, undertake the project and risk getting caught, or simply forego the project entirely. Some landowners may unknowingly violate the act. Farmers can do so by plowing pastureland and converting it to crop land. Homeowners may violate the act by installing a swimming pool in their backyards. How could such far-reaching regulations be implemented without a single hearing or vote from Congress? Because the regulations were instituted under the rule-making authority of the agencies pursuant to the Clean Water Act (CWA). The changes exponentially expand the jurisdiction of the CWA. In 1972, when the act was first implemented, it was titled the Navigable Waters of the U.S. Now it is called the Waters of the U.S. The CWA’s jurisdiction is no longer limited to navigable waters. One of the ways the new law avoided notoriety is by its title. While it appears to regulate water and water quality, it also regulates land and land use. The implementation of the regulations has been halted temporarily by a nationwide injunction issued by the Federal Sixth Court of Appeals. However, the injunction is a stopgap measure, not a final resolution. to avail themselves of the agencies’ experience and technical expertise. The key U.S. Supreme Court decision cited by the agencies is Rapanos, a case they lost in 2006. Afterwards, the agencies rewrote the regulations under their rulemaking authority using, in part, Justice Kennedy’s concurring opinion in Rapanos. The case involved a 4-4-1 split of the court. Four justices voted to limit the CWA’s jurisdiction to “traditional navigable waters.” Justice Scalia wrote the opinion. Four other justices favored expanding the CWA’s jurisdiction. Finally, Justice Kennedy agreed with Scalia’s group but for different reasons. This is called a concurring opinion and has no legal binding effect. Scalia wanted to limit the CWA’s jurisdiction to relatively permanent, standing, or continuously flowing bodies of water (traditional navigable waters). These waters required continuous surface connections. Kennedy wanted to expand the CWA’s jurisdiction to isolated wetlands (disconnected waters) but only if the wetlands had a significant effect on downstream, traditional navigable waters. Kennedy penned the following significant nexus test to determine when this occurred. Wetla​nds possess the requisite significant nexus if the wetlands, either alone or in combination with similarly situated wetlands in the region, significantly affect the chemical, physical, and biological integrity of other covered (jurisdictional) waters more readily understood as navigable. This test was later altered and expanded by the agencies and applied to all waters of the U.S. in the revised rules. As to the goals, objectives, and policies set forth in the enacting statute, the agencies referenced them as restoring and maintaining the chemical, physical, and biological integrity of the nation’s waters. However, the U.S. Supreme Court observed the 1985 Riverside opinion that these objectives include also maintaining and improving water quality. The new rules rarely if ever mention “improving” the nation’s water quality as one of its goals and objectives. In fact, many man-made practices that improve water quality violate the new rules. However, ignoring and altering the existing rules appear to be a common practice throughout the revisions. The agencies again rely on Justice Kennedy’s statement in Rapanos in which he says that the agencies’ delegated rulemaking authority affords them generous leeway in interpreting the statute they are entrusted to administer. If the revisions to the CWA regulate waters, how can they apply to lands and land use? Without the definition, the agencies’ latitude in determining the CWA’s jurisdiction on land as well as on water is practically unlimited. Any land defined or declared jurisdictional requires a permit to change the use. The CWA creates and oversees eight categories of water. Before the revisions, there were six. The first four remain unchanged. These are the waters Justice Scalia indicated should be the extent of the CWA’s jurisdiction. They are jurisdictional by definition and apply without administering any tests. 1. Traditional Navigable Waters. These include all waters currently used, or that were used in the past, or may be susceptible to use in interstate or foreign commerce, including all waters subject to the ebb and flow of the tide. 2. Interstate Waters. These include all rivers, lakes, and other waters that flow across or form a part of a state boundary. They need not be navigable for purposes of federal regulations and need not connect to navigable waters. 3. Territorial Seas. These include the belt of the seas measured from the line of ordinary low water along that portion of the coast which is in direct contact with the open sea and the line marking the seaward limit of inland waters and extending seaward a distance of three miles. 4. Impoundments and Wetlands. These include any dammed or impounded traditional navigable waters or interstate waters described in the first two categories. Even though impounded, they continue to be jurisdictional waters. Before the implementation of the changes, the agencies made an individual case-by-case determination whether the next two categories, tributaries and adjacent waters, were jurisdictional and governed by the CWA. The revisions now define both categories as jurisdictional without any individual determination. According to the agencies, this decision was based on its scientifically and technically informed judgments. They concluded that these waters exert a significant nexus on downstream jurisdictional waters. Therefore, no additional analysis is required. The agencies maintain that this provides greater clarity regarding which waters (and lands) are subject to the CWA’s authority and need a permit. This reduces the instances in which the authorities need to make jurisdictional determinations on a case-by-case basis. 5. Tributaries. Under the new rules, three physical features determine whether a waterway can be classified as a tributary and thus jurisdictional under the act. These features include 1) a bed, 2) banks, and 3) an ordinary high-water mark. The presence of these physical features demonstrates that the tributary has (or had) sufficient volume and frequency of flow to establish a significant nexus to downstream waters. The agencies take a broad view in finding when these features are present. For example, physical indicators of a bed, bank, and ordinary high-water mark include such things as shelving, scouring, changes in soil characteristics, destruction of terrestrial vegetation, and the presence of litter and debris. In fact, the new rules permit the use of remote sensing sources, aerial photographs, light detection and ranging data, hydrologic estimations of discharge, regional regression analysis, and hydrologic modeling to assist in the process. In fact, other sources of information can be used to infer or reasonably conclude the presence of a bed, banks, and an ordinary high-water mark. These physical features need not be visible to the naked eye. Breaks do not cause a loss of the tributary’s classification. Streams that flow underground, for example, and lose these physical features are still a tributary as long as the bed and banks and an ordinary high-water mark can be identified both upstream and downstream of the breaks. There is no limit on the distances. Ditches, a subset of tributaries, received scrutiny in the revisions even though the term is never defined. The new rules regulate ditches that 1) drain wetlands, 2) have intermittent flow, 3) are excavated or relocated in a tributary, or 4) science demonstrates function as a tributary. The rules exclude ditches, gullies, and rills that flow only after precipitation (ephemeral streams) when they lack a bed, banks, and an ordinary high-water mark. Ditches with intermittent flow are excluded but only if they do not drain wetlands or flow directly into traditional navigable waters, interstate waters, or territorial seas, or directly through other waters. The rules do not define perennial, intermittent, or ephemeral streams. The agencies consider these commonly used scientific terms. However, they do offer these guidelines. Perennial streams flow year-round during typical years with groundwater and higher stream networks providing their primary sources of flow. Intermittent streams flow continuously only during certain times of the year with precipitation and groundwater providing their primary sources. Ephemeral streams flow only in response to precipitation in a typical year and are always above the water table (not necessarily on the surface). The final rule does not provide an exclusion for roadside ditches. The agencies believe the exclusions included in the final rules address the vast majority of roadside ditches and other wetlands during and immediately following a rain event. However, ditches draining wetlands, as noted above, are jurisdictional because, according to the agencies, they degrade the quality of wetlands and may cause their demise over time. This raises another question. What are wetlands? How large or small can they be? Three elements are needed to create wetlands: (1) the presence of standing, undrained water for a period long enough during the growing season (2) to develop anaerobic soils or hydric soils (3) that support the growth and regeneration of hydrophytic vegetation such as cattails and water-lilies. Hydrophytic plants found in hydric soils often have internal spaces in stems and rhizomes that allow atmospheric oxygen to be transported to the rooting zone. However, the presence of certain woody plants and shrubs may qualify an area as wetlands (see Section 404 of the CWA). How long must the water be present? Two weeks. The surface water or the water table (when located within 12 inches of the surface), must be present for at least 14 consecutive days during the growing season in a normal or dry year. An area could be dry 11 months of a year and still be classified a wetlands. No minimum size is required. Most roadside ditches contain wetlands in their low-lying areas. 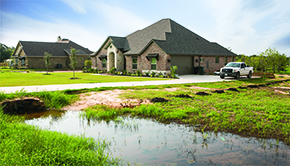 During heavy rains, the runoff from these wetlands drain across private property. These are jurisdictional ditches because they drain wetlands whether the landowners realize it or not. 6. Ad​jacent Waters and Wetlands. The second modified category is Adjacent Waters and Wetlands. These disconnected waters border traditional navigable waters, interstate waters, territorial seas, impoundments, or tributaries but are separated by the construction of dikes or barriers, natural river berms, beach dunes, and the like. Adjacent waters include naturally occurring wetlands, ponds, lakes, oxbows, impoundments, and similarly situated waters. These are now jurisdictional by definition. Neighboring waters, a particular subset of adjacent waters, must be located within a prescribed distance of jurisdictional waters and sometimes, but not always, have a hydrological or ecological connection to them. The new rules identify three situations in which neighboring waters will be classified as jurisdictional. This occurs when: 1) the waters are located in whole or in part within 100 feet of the ordinary high-water mark of traditional navigable waters, interstate waters, territorial seas, impounded waters, or tributaries, 2) the waters are located within the 100-year floodplain of any of the waters just mentioned and the floodplain is located in whole or in part within 1,500 feet of the ordinary high mark of the same waters, and 3) the waters are located in whole or in part within 1,500 feet of the Great Lakes or 1,500 feet of the high tide line of traditional navigable water or territorial seas. The agencies use FEMA maps to identify floodplains. However, in the absence of applicable FEMA maps or where the maps are deemed to be out of date or no longer accurate according to the agencies, they rely on other available tools to identify the 100-year floodplain. These areas can act as water storage areas, holding damaging floodwaters. Floodplain areas connect aquatic environments through both surface and shallow subsurface hydrologic flow paths. They form an integral part of stream networks because of their ecological functions. However, the same similarly situated, man-made structures such as farm ponds that also improve water quality violate the act without a federal permit. In summary, the agencies acknowledge that these buffers improve water quality and have a justifying ecological effect on downstream waters even though the Kennedy tests limit the effect to chemical, physical, and biological. Finally, their connections to other waters may be due to subsurface flow even though the regulation of groundwater is excluded from the act. Naturally trapped waters improve water quality but similar man-made structures evidently do not. The revised rules add two new categories of waters (or lands). Both are subject to a case-by-case analysis for jurisdictional determination by applying Justice Kennedy’s altered significant nexus test. These two categories exponentially expand the geographic area covered by the CWA. The eighth category is the most controversial and comprehensive. 7. Prairie potholes, Carolina and Delmarva bays, pocosins, western vernal pools in California and Texas coastal prairie wetlands. These are waters in specific geographic regions of the country that science demonstrates could and should be subject to the significant nexus test to determine if they have a significant nexus on downstream waters. Because these are so isolated, they merit no further discussion. 8(a). Waters within the 100-year floodplain of traditional navigable waters, interstate waters or territorial seas and have a significant nexus to those waters. This category, along with adjacent neighboring waters, encompasses most agricultural land. However, neighboring waters fall in category six and are thus automatically jurisdictional by definition. Category 8(b) requires the agencies to apply the significant nexus test to waters and lands 4,000 feet (3/4 of a mile) on either side of a covered tributary or ditch to determine whether they are jurisdictional. Because of the way the test is structured it would be difficult to imagine a situation in which this land would not be classified as jurisdictional. Here is how the present test, as altered by the agencies, reads. The agencies altered the initial Kennedy test in several ways. First, Kennedy’s test was limited to isolated wetlands. It did not include all waters. Second, it made no mention of the waters functioning alone or in combination with other waters. This was added by the agencies. The term region was used in the test but not defined by Justice Kennedy. The agencies defined it broadly to include the entire watershed in which the waters or lands are located. Likewise, the threshold for having a “significant effect” has yet to receive an objective definition or description. The agencies describe the following characteristics as valid functions that permit the aggregation of similarly situated lands in the watershed for purposes of the test. Provisions for the life cycle of species dependent on aquatic habitat for foraging, feeding, breeding, spawning, or use as a nursery area. Thus, any feature that retains or slows the flow of water such as retention of floodwaters or runoff storage or anything that contributes to the flow to export organic matter or food resources meets the definition and allows the agencies to aggregate the land in the watershed for purposes of the test. In summary, when determining whether waters located within the corridor have a significant nexus to downstream waters, the agencies may combine all waters or lands that function together within the entire watershed (not just with land in the corridor). Furthermore, the sharing of a single function, not all of them, permits aggregation. According to the rules, chemical connectivity is not defined. Rather, the rules discuss factors influencing chemical connectivity. These include signs of the retention, release, or transformation of nutrients or pollutants; the effect of landscape position, hydrologic connectivity, surrounding land use and land cover; the landscape setting, and deposition of chemical constituents. Physical connectivity and its effect can be found by identifying evidence of flooding or sediment retention (flood prevention). Again, factors influencing physical connectivity include rain intensity, duration of rain events or the wet season, soil permeability, distance of hydrologic connections, depth of water table from the surface, and preferential flow paths. Biological connectivity and its effect can be found by identifying resident aquatic or semiaquatic species such as amphibians, aquatic and semiaquatic reptiles, aquatic birds, and whether those species show life-cycle dependency on the identified aquatic resources (foraging, feeding, nesting, breeding, spawning, use as a nursery area). Factors influencing biological connectivity include traits of the species’ life history, species’ behavioral traits, dispersal range, population size, timing of dispersal, distance between the case-specific waters and the jurisdictional waters, the presence of habitat corridors, and the number, area, and spatial distribution of habitats. According to the rules, similarly situated waters need to share only one function to allow aggregation. Likewise, to have the required (1) chemical, (2) physical, or (3) biological effect on downstream waters, only one of the three is necessary to apply the test. Many of the functions that permit aggregation of similarly situated waters or land are the same factors that can be used to determine chemical, physical, or biological effects on downstream waters. For example, the presence of resident aquatic or semiaquatic species and their life cycles can be a required function as well as a biological connection. Retention and attenuation of floodwaters and runoff storage serves as both a function and a factor in determining physical connectivity. Allowing the combining of similarly situated waters and lands in a watershed creates another problem. Landowners with similarly situated waters or lands may be used in the test without their consent or knowledge. If so, they are bound by the outcome of the tests even though they are never informed of the agencies’ determination. This could cause landowners to unknowingly violate the CWA. Furthermore, relevant information for making the determination may come from many sources and need not be confined to the specific waters or land being scrutinized. The most glaring problem in the entire test, though, is the lack of an objective standard for determining when the significant nexus or significant threshold is reached. The only guideline offered by Justice Kennedy is that the effect must be more than speculative or insubstantial. In response, the agencies state in the final rules, “significant nexus” is not itself a scientific term but rather a (subjective) determination made by the agencies in light of the law, science and the agencies’ experience and expertise. Again, it is difficult to imagine how any land would or could be found to be anything other than jurisdictional according to the test. The rules contain several exclusions. The most important one for agricultural activities is for normal ongoing farming and ranching operations. “Ongoing,” according to the American Farm Bureau Federation’s research, means only farms and ranches in operation since 1977. Newer farms could not qualify. Many commentators believe the regulations are much broader and should be taken quite literally. In other words, the exemption applies only to the actual, physical farming and ranching operations being conducted on the land at the time the regulations took effect. Any changes from those current practices require a permit when the significant nexus test is met. This is borne out by the rules. The agencies recognize the work of farmers to protect and conserve natural resources and water quality on agricultural land. At the same time, the agencies recognize that waters (lands) in which normal farming, ranching, and silviculture practices occur are often associated with modifications and alterations including drainage, changes to vegetation, and “other disturbances” the agencies believe should be considered in making a significant nexus determination. In summary, normal farming, ranching, and silviculture practices in the eyes of the agencies mean established and ongoing activities at the time the regulations took effect as distinguished from activities needed to convert an area to farming, ranching, and silviculture or any activities that convert the present activities to other uses. The first five exclusions are, in some way, tied to activities conducted on “dry land.” But the agencies do not define the term. Without the definition, the exclusions are meaningless. The agencies respond to the lack of a definition in the following manner. “Dry land” refers to areas of the geographic landscape that contain no water features such as streams, rivers, wetlands, lakes, ponds, and the like. It is not a dry land simply because it lacks water at a given time. It may remain dry land even if it is wet after a rainfall event. “There is no agreed upon definition given geographic and regional variability,” the agencies indicate. They state that further clarity on this issue can be provided during implementation. The agencies believe the term is well understood based on more than 30 years of practice and implementation. Apparently, dry land is up to the agencies to determine just as is the determination of when the significant nexus test is met. Based on a broad interpretation of the rules, dry land evidently refers to any waters or lands outside the agencies’ jurisdiction, which means any land outside a watershed and/or more than 4,000 feet of the ordinary high-water mark of traditional navigable waters, interstate waters, territorial seas, impoundments, or covered tributaries and ditches. 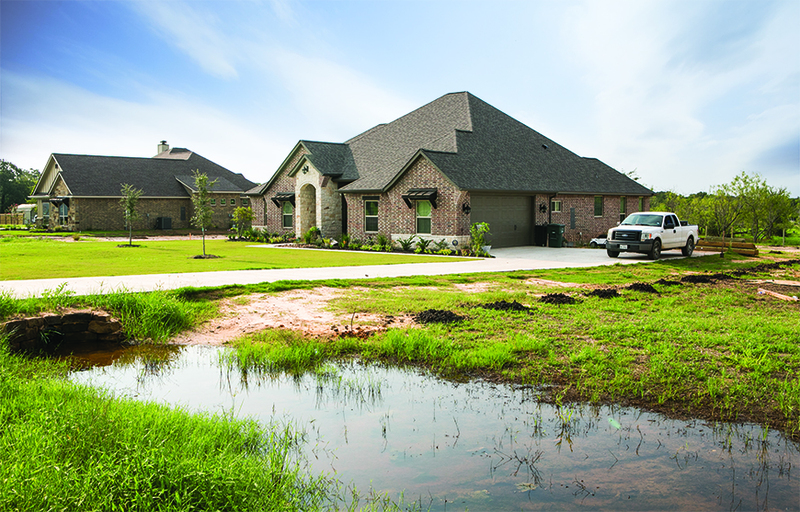 Remember, though, the physical features making a waterway a covered tributary or ditch can be inferred. Why are critical terms such as “dry land” and “ditches” used extensively throughout the document never defined? Groundwater is supposedly excluded from the coverage, yet the language repeatedly refers to shallow subsurface flows of water. The regulations allow ephemeral streams to flow above the water table, but below the surface. Likewise, wetlands can be formed when the water level is within 12 inches of the surface. Yet, wetlands formed by unregulated groundwater are not differentiated from wetlands formed by standing surface water. Is groundwater actually covered by the act? Possibly the most repeated phrase in the entire regulation is “significant nexus” or “significant effect.” No objective determination or definition is given for the term. The agencies have the right to unite or combine similarly situated waters (lands) to achieve this threshold. The agencies altered Justice Kennedy’s test so that they could unite similarly situated lands they felt “functioned” together even though the properties are miles apart, though in the same watershed. This ability to unite widespread parcels emerged from the agencies’ definition of “the region,” not from Justice Kennedy’s opinion. Does this overstep the agencies’ authority? The rules do not address whether artificially pumped irrigation water can be regulated. The rules are quite clear that if irrigated land returns to dry land without being irrigated, the practice does not fall within their jurisdiction. But, again, how do you define dry land? The rules do not address how lateral distances are measured. For example, any water or lands lying within 4,000 feet of the ordinary high-water mark of a tributary is subject to a case-by-case jurisdictional determination. How is the measurement taken when the adjoining ground is not absolutely level? Do the measurements follow the actual contour of the ground, or are they measured by looking at an aerial photograph? The revisions do not discuss whether a permit must be approved by other federal agencies before it can be issued pursuant to the CWA. Typically, before a federal agency issues a permit, it circulates the request among other federal agencies such as the U.S. Fish and Wildlife department to see if they have any objections. If the department identifies the presence of an endangered species, the permit is denied. Will this practice be continued under the revised CWA? The rules prohibit (penalize) practices that enhance the water quality. According to Justice Scalia, one of the goals and objectives of the CWA is to improve water quality. Artificially constructed lakes and ponds fulfill the same function as adjacent waters and wetlands, discussed in category six, yet landowners need a permit to construct them or be in violation of the act. For category 8(b), the rules allow the agencies to aggregate all similarly situated land in the watershed for the application of the significant nexus test. This can be done without getting the landowners’ consent, yet the landowners are bound by the outcome without being told. Does this practice violate due process? The federal government has no jurisdiction over local state matters according to the 10th Amendment to the U.S. Constitution. The revisions to the CWA do not allow states to retain their constitutional responsibility over nonnavigable, intrastate waters. Do the rules violate the constitution? How can rules be objectively applied when they are subjective in nature? Landowners, builders, developers, oil companies, and others who breach the CWA face civil penalties ranging from $16,000 to $37,500 per day. Criminal penalties range from one year in prison and/or $2,500 to $25,000 in fines per day for negligent violations. For knowing violations, the penalties range from three years in prison and/or $5,000 to $50,000 in fines per day. Repeat violations can go as high as six years in prison and/or $100,000 in fines per day. Before the revised rules were set to become effective August 15, 2015, the Federal Sixth Circuit Court issued an injunction against their implementation nationwide. In the meantime, Congress passed legislation declaring the act unconstitutional and unenforceable. This legislation was vetoed by President Obama. The Senate failed by two votes to override the veto. Presently, the Sixth Circuit’s injunction is still in place. In the past, a procedural problem confronted those who wished to judicially challenge an adverse jurisdictional determination. According to the procedural rules, landowners had to exhaust all administrative appeals before the courts would entertain their complaints. It took years and large sums of money just to get to court. There were huge risks involved. If the landowners eventually lost in court, the process carried serious criminal and civil penalties for the years during which the challenge was lodged. This changed on May 31, 2016. The U.S. Supreme Court ruled in a unanimous decision that landowners no longer have to wait to exhaust the administrative appeals before the federal courts may entertain their challenges (U.S. Army Corps of Engineers v. Hawkes). ​In the opinion, Justices Clarence Thomas, Samuel Alito, and Anthony Kennedy hinted that parts of the CWA may be unconstitutional. Justice Kennedy wrote that the law is notoriously unclear, and the consequences to landowners for inadvertent violations can be crushing. Fambrough (judon@tamu.edu) is a member of the State Bar of Texas and former lawyer with the Real Estate Center at Texas A&M University. Hatfield (hat@hctc.net) is a real estate broker and past president of the Realtors Land Institute.